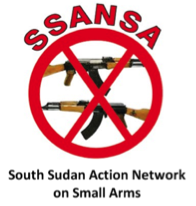 SSANSA is a nation-wide Network of civil society organisations from across the 10 states of South Sudan working to reduce and prevent gun violence in South Sudan. In 2013, SSANSA launched a gun violence casualty recording project to measure and respond to the problem of gun violence in South Sudan which has become and obstacle to the socio-economic of the country. The objective of this project is to consolidate casualty data on gun violence and use it to annually present the human cost of gun violence for South Sudan. The purpose of the annual report is to inform inform interventions – of the government of South Sudan, civil society and intergovernmental organizations – that are geared to addressing the problem of gun violence. •	Contribute to reduction and prevention of armed violence by facilitating understanding among stakeholders on the nature and magnitude of the gun problem in South Sudan; promote accountability in the use of violence, and to facilitate the tailoring of interventions to the exact areas of need. •	Provide an information basis that can be used in measuring impact of armed violence reduction initiatives. •	Strengthen the evidence base for advocacy and policy influence for reduction of armed violence. •	Highlight the nexus between gun violence and socio-economic development.